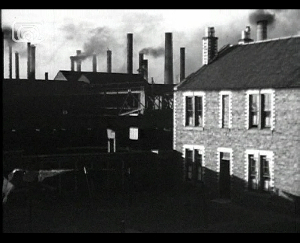 This lesson guide introduces films from the 1920s to the 1980s that can help us understand the extensive social and economic changes in Scotland during the twentieth century. Wealth of a Nation compares old and new industries at a time when Scotland was being promoted within the British Empire. What do you see? What does the narration tell you? Talk about any questions you have about the film. Why has this film been made? What message is this film trying to give about Scotland? What effect does the narrator have on the tone of the film? 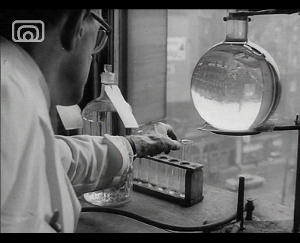 Health of a City tells the story of Glasgow's population growth and sanitation crisis. What different source materials are used to tell this story? How effective is the narration in putting across key points? Is this an optimistic or a pessimistic film? What makes you think this? Why did Glasgow’s population rise? Has it risen again since 1965? In what ways were modern high-rise flats seen as an improvement on the ‘slum’ tenements? 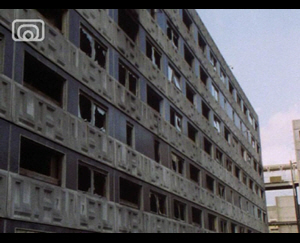 Clyde Film depicts demolition, unemployment and uncertainty in Glasgow in 1984. The film was made by members of local arts and community group in Cranhill. What mood/tone is created in the first 2 minutes of the clip? Why do you think the filmmakers chose to use ‘I belong to Glasgow’ in the soundtrack? Why is the rest of the film silent? What impression does this film give you of Glasgow? How does it make you feel about the city? Are there still areas of Scotland today that resemble those shown in the film? What is the impact of seeing the man in the empty warehouse? Why do you think the filmmakers chose to show the empty warehouse in this way? View Clyde Film (clip 2). What tone is created by the music at the start of the film? How does this compare to the previous clip? In what ways is Glasgow flourishing in this clip? What does it show Trade Unions doing? 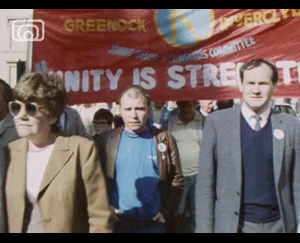 Make a documentary film that tells the history of the welfare state in Scotland. Plan your own new town – where would be in Scotland and why? How would you attract people to live there? In what order would you need to build amenities for the town? Create a public health film aimed at educating the public on disease prevention. Make a campaign film arguing for or against austerity measures imposed by government. Split into groups with half of you representing 'the citizens' and the other half representing 'the council'. Citizens must submit a proposal to the council which will benefit the local community or industry. The citizen group might include young people, parents, employers, trade unionists or pressure groups. They must submit a well thought out plan and sell their idea to the council. The council should review and decide whether the idea will be implemented - or if it will go ahead with some amendments proposed. There are other films about politics and regeneration which you may be interested in discussing. Links to these, and all of the films mentioned in the resource, are through the records at the bottom of the page. This resource can help support political literacy. For more information on how this relates to the Curriculum for Excellence see Education Scotland's political literacy resource You Decide.